The concept of knowledge sharing finds historical support in theories on the acquisition and creation of knowledge. While the key to knowledge sharing depends on frequent and regular social interaction, the recent rapid development of the internet has enhanced much of the social interaction taking place among individuals at any time, at any place, and with any person. Through a review of the literature, this chapter defines online knowledge sharing, discusses the effects of intrinsic and extrinsic motivational factors in explaining online knowledge behavior, explores the various forms of knowledge sharing in different online learning environments, and reviews the measurement of online knowledge sharing. 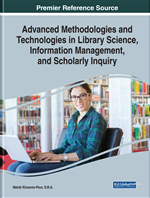 The chapter also discusses online knowledge-sharing issues that should be addressed in future. A popular socio-cultural theory of learning is that of Lev Semyonovich Vygotsky, who explained the mechanism by which knowledge is acquired and represented through knowledge sharing and social interaction (Vygotsky, 1978). This mechanism comprises two planes: the social/individual plane and the public/private plane. Learning starts on the social plane, with learners acquiring new concepts and strategies through interactions with more knowledgeable others. Individual learners then use and extend the concepts and strategies thus acquired to other contexts, and meanings and interpretations are initiated through social interactions (social to individual). Learning then emerges in the public domain, with the knowledge being used by more knowledgeable others and made available to learners. Through interactions within the public domain, individual learners understand, adjust, and implement the knowledge they have learned in the private domain (public to private). Harre (1984) and Wertsch and Bivens (1992) concluded that the success of learning is based on the assumptions that knowledgeable members of a culture will assist others to learn and that learners will actively engage in learning activities to facilitate higher mental functions. Social interactions are initiated among individual learners and naturally result in knowledge sharing.